While all of the baccarat variations share a similar set of rules regarding banker and player hands and how those hands are scored, it’s important to know which kind of baccarat game you’re playing at before you place your wagers. Obviously with online baccarat you’ll never actually get your hands on the cards, but because the casino controls all the action in punto banco baccarat you have no control at all. That limits your strategy specifically to your bets. Because the banker hand acts second based on the total of the player hand, banker is always the best bet in punto banco. While the banker’s odds of winning are only slightly better than the player’s, the tie wager has the worst odds by far. Your actions while playing chemin de fer or baccarat banque online may depend on whether you are playing solo or with a group. When in a group, if you are representing a player hand then etiquette dictates that you play it safe. That means always requesting a third card with a starting hand total of 0-4 and never requesting a third card when your hand total is anything above 6. Because the banker hand acts second, it is best to play the banker whenever possible. As banker, you are not only free of the restrictions of etiquette when playing your hand, you also have the advantage of considering the player hand before choosing whether or not to add a card to your own hand. Because punto banco baccarat is the most common variation, your hands may be tied in regards to playing strategy. 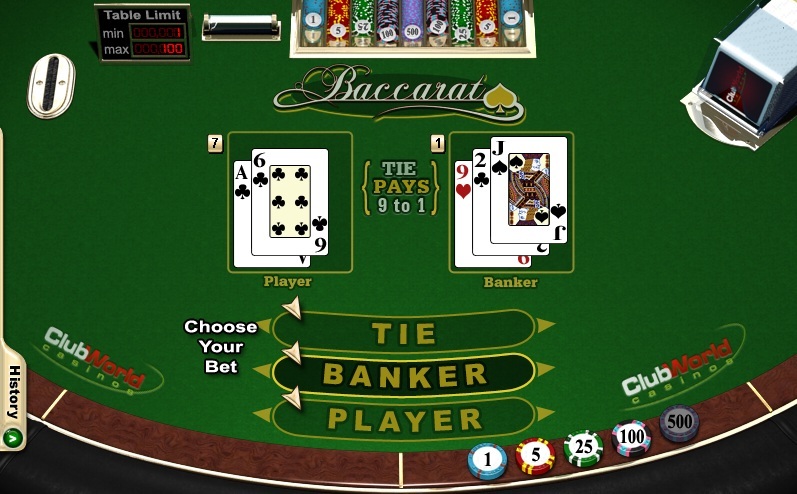 Some punters like to add excitement to their baccarat game by playing it with a system. For more information on how to use a betting system, see our Martingale and Labouchere system pages. As with many casino games the house has a reasonable edge but you can benefit from good bonuses to improve your chances against the house and enjoy your playing experience more.